Split seconds. That’s all it takes for a propane bobtail to veer slightly off the road and past the point of no return. The driver had looked away from the road only briefly but long enough for his propane delivery vehicle’s wheels to leave the road. He started to panic. The bobtail rolled. He was left hanging upside down in his cab. This particular driver is one of five who recounts his on-road experiences in a new 22-minute video, dubbed by the narrator as a “wake-up call” for drivers, from the Propane Education & Research Council (PERC) that focuses on bobtail rollover prevention. More than 3,100 copies have been distributed throughout the industry since November. The topic surfaced in 2010 after safety leaders at AmeriGas began noticing an increase in bobtail rollovers, recalls Mike Walters, national training manager at AmeriGas and a member of PERC’s safety and training working group. 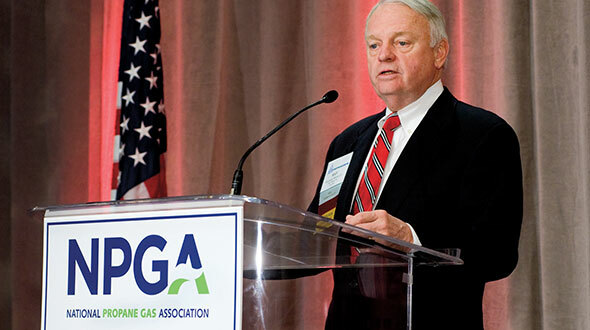 Several major propane companies began discussing the issue and the need for a safety program. Paul Grady, then an executive with Heritage Propane and a member of PERC, and now vice president and COO of AmeriGas, urged the council to seek an industry-wide solution to an issue affecting the estimated 35,000 bobtails on the road daily. Paula Wilson, director of marketing at AmeriGas, also backed the effort. 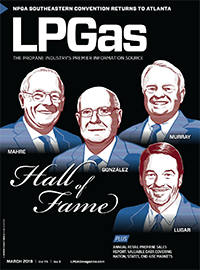 While nobody tracks the number of bobtail rollovers, statistics at several major propane retailers led Grady, in a June 2010 LP Gas article, to estimate that 120 to 150 rollovers occur each year throughout the industry. 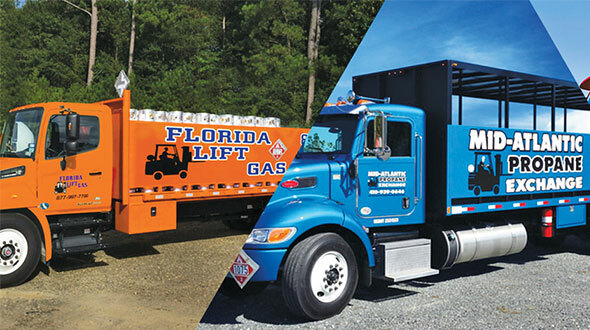 PERC tasked Stuart Flatow, vice president of safety and training, to help develop a program that would highlight the key factors contributing to a bobtail rollover. The council approved $332,000 in 2010 for the Bobtail Rollover Awareness and Prevention Program and assembled a 14-member industry task force to stimulate ideas. The end result was an employee awareness program called Preventing Bobtail Rollovers, combining a DVD video, a companion CD and informational booklet, quiz, answer key and employee completion certificate. 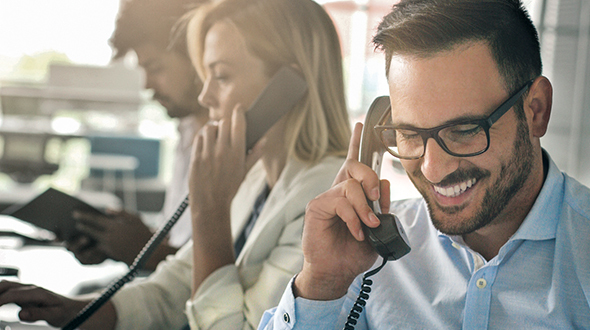 Marketers can use the program however they see fit, whether in a classroom setting with the workbook and test or in a safety meeting with open discussions. According to the program, driver distraction, inattentiveness and simple complacency are common causes of rollovers, which can happen on any road, in any weather conditions and at any speed. These factors, combined with the unique physical design of the propane bobtail, can be a recipe for disaster. 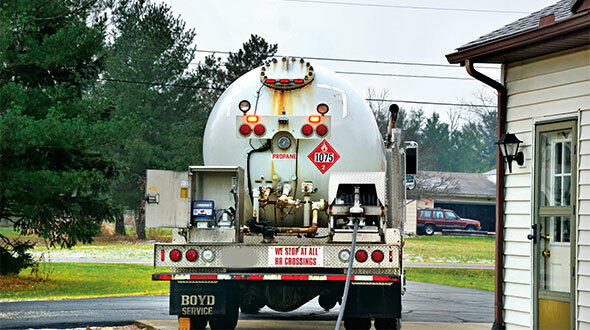 A bobtail’s high center of gravity and the liquid propane sloshing in the barrel and surging in different directions pose challenges for the driver and make the vehicle more prone to a rollover. Sloshing is felt most when the bobtail’s center of gravity shifts – during sudden stops and turns, forcing the liquid load to the front of the vehicle or the outside. The sloshing effect, minimized by baffles inside the barrel, gets considerable attention in the video, with lively animation showing how the liquid shifts. Rollovers became more of an issue in the 1970s and 1980s when bobtails began carrying barrels bigger than 2,600 gallons, says Danny McElroy, executive vice president and general manager of White River Distributors’ Southwest Sales Center. The vehicles became more top heavy, and drivers weren’t trained on their unique characteristics, he adds. Today, single-axle trucks are allowed to haul up to 3,499-gallon barrels. “That’s why it’s so important to get this out and educate drivers that speed and efficiency in delivery are great but not at the expense of safety,” McElroy says of the rollover prevention program. The force of sloshing underscores another rule for bobtail drivers, addressed in the video: If the vehicle travels off the road, drivers are instructed not to jerk the steering wheel to get the vehicle back onto the road. These quick reactions can set the sloshing motion into effect and potentially lead to a rollover. PERC’s Safety and Training Advisory Committee (now the safety and training working group) and the industry task force on bobtail rollovers placed employee safety and company cost savings at the heart of its work on the video. The idea was to stay away from a traditional how-to video and focus more on the causes of bobtail rollovers. 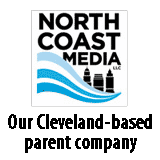 Communications firm Logica3 produced the video, visiting company sites from New England to Oregon, showing different demographics and conditions, and talking to industry personnel, Flatow says. On-screen narration is interspersed with driver interviews about harrowing on-road experiences and best practices, video of bobtails in action and computer simulations on sloshing. “It’s an important message that these guys [the drivers] are professionals, and things can still happen,” Flatow says. PERC has been distributing the bobtail rollover prevention program through industry outreach initiatives and at events. It is also available for $9 through the Propane Marketing and Resource Catalog (Propane MaRC) atwww.propanemarc.com. The video can be viewed for free online at www.propanesafety.com. For more information or to request a copy of the program, contact PERC’s Stuart Flatow at stuart.flatow@propane.com or 202-452-8975. Late spring to early summer is the best time to perform cargo tank maintenance, before your yearly summer-fill program begins. Bobtail and transport-trailer builder Westmor Industries offers eight maintenance areas that are often overlooked during these do-it-yourself checks. 1. Clutter in the deck or cab – Clutter in these areas can damage sensitive electronic connections and components. 2. PTO shaft – While often overlooked, the PTO is a vital component to your pumping system. Ensure universal joints and splines are lubricated and test them to make sure they are functioning properly. 3. Tank or chassis corrosion – It’s commonly overlooked but can be a potentially expensive repair, so a little touch-up now can pay major dividends during long runs later in the year. 4. Vessel valves – It’s important to actuate valves on the vessel, at least monthly, to ensure proper operation. This includes isolation valves and internal valves. 5. Test dates and decals – It’s good practice and habit to walk around your unit monthly to observe test dates and the condition of your placards. The placards should be in good condition with near perfect color. 6. Hose nozzle – Now is the time to inspect your hose for any cracks or noticeable abrasion. Be certain to inspect the condition of the threads on the inside of the nozzle, too. 7. Wheel chocks – These safety tools need to be checked and monitored for deteriorating condition or any signs of corrosion. 8. Seasonal bobtails – Cycle your seasonal bobtail often to ensure that your crews can continue operating at peak performance when winter returns.